Box Office: Director’s Cut | Definitive Touch - Men's Contemporary Style. As of late, the Academy Awards have become just as much about the red carpet as they are about old Oscar. 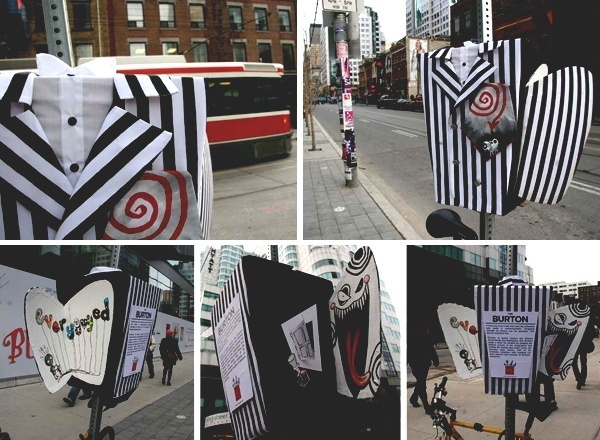 With this in mind we decided to pay homage to 10 directors with a street installation; one where each piece showcases a director – from Hitchcock to Burton, Ritchie to Lee – known for personal and directorial styles ranging from the iconic to the idiosyncratic. Over the years these artists have created many of the movies we love, and did so while looking great not just on awards night, but every time they stepped out from behind the camera. See the rest at EveryGuyed.